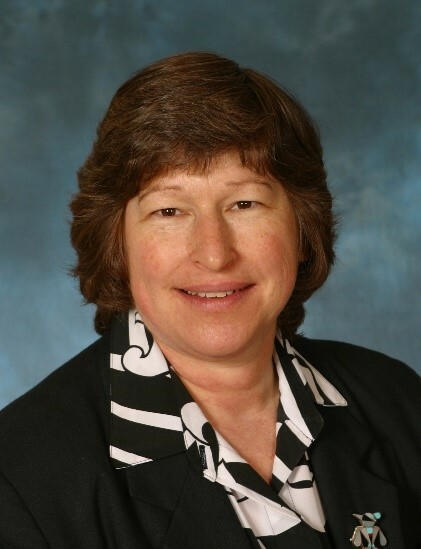 RESTON, Va. – Kathy Thomas, MHA, CNMT, PET, FSNMMI-TS, is the new editor of the Journal of Nuclear Medicine Technology (JNMT), which is published by the technologist section of the Society of Nuclear Medicine and Molecular Imaging (SNMMI). She has taken over leadership of JNMT from Norman E. Bolus, MSPH, MPH, CNMT, FSNMMI-TS, and her five-year term begins January 2018. “I am honored to be entrusted with the JNMT editorship and grateful to Norman Bolus for his guidance and leadership of a journal that has served the technologist community for over four decades as the only peer-reviewed publication dedicated to nuclear medicine technology,” Thomas stated. She and a team of associate and consulting editors are planning new features for the journal, including invited editorials, an educators’ forum, practical protocol tips, sections on quality and practice management and on radiopharmacy and adjunctive medications. Thomas has more than 40 years of experience in the field of nuclear medicine technology. Now retired, she spent much of her career with the City of Hope National Medical Center in Duarte, California, where her positions included senior nuclear medicine technologist and supervisor/quality assessment coordinator. Thomas also served as a marketing manager with Imaging Services at Cedars-Sinai Medical Center in Los Angeles and as senior radioimmunotherapy liaison with VentivHealth/IDEC Radiopharmaceuticals in Somerset, New Jersey, and San Diego, California. Her last position was as regional manager for applications and technical support for Capintec, Inc., in Florham Park, New Jersey. A member of the society’s technologist section since 1974 and a member of the Pacific Southwest Technologist Chapter, Thomas has served at every level of SNMMI-TS leadership, including president, executive board member, and chair of multiple committees. She is currently a member of the Uptake newsletter editorial board and serves on the following committees: Continuing Education, Publications, Program, Professional Development and Education Fund, Paul Cole Scholarship Task Force. Thomas has also been a member of the SNMMI Board of Directors, House of Delegates and numerous committees. In the Pacific Southwest Technologist Chapter, she twice served as president and as treasurer, and she also chaired a variety of committees. For the Nuclear Medicine Technology Certification Board, Thomas served as director (1998-2007), chair of the Board of Directors, and chair of several committees. She received a Master of Healthcare Administration from La Verne University in La Verne, California, a B.S. in Operations Management from California Polytechnic State University in Pomona, a certificate in Nuclear Medicine Technology from King-Drew Medical Center in Los Angeles, and a certificate in Radiology Technology from St. Francis Medical Center in Wichita, Kansas. Thomas is the author of a wide range of articles and presentations on topics in the nuclear medicine field and has twice been honored to receive the SNMMI-TS Presidential Distinguished Service award (2009 and 2017). She was named an SNM-TS Fellow in 1996. Please visit the SNMMI Media Center for more information about nuclear medicine and molecular imaging. Current and past issues of the Journal of Nuclear Medicine Technology are available at http://tech.snmjournals.org.